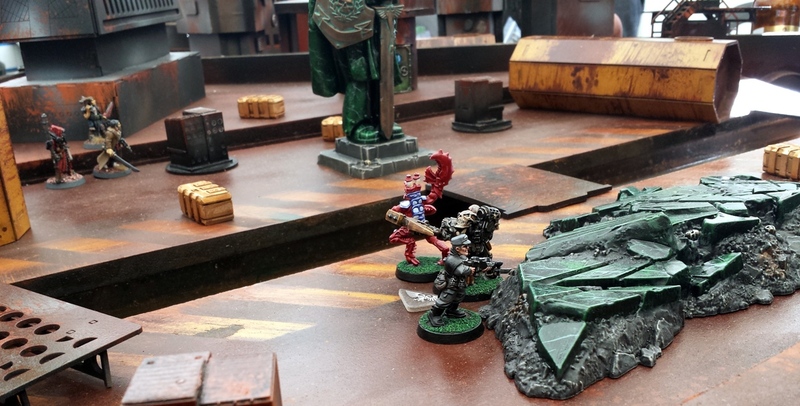 I was involved two further games over the weekend, intended to be light affairs that each accommodated about seven or so players for a couple of hours each. “The Quickening” was a game based on the Sensei from the old 40k Realm of Chaos background (a concept itself inspired in part by the Highlander franchise). “Gasoline Grab” was an opportunity to get some absurd Mad Max meets Penelope Pitstop style gameing in using Gorkamorka rules: a mentally untaxing game ideal for first thing on a potentially hungover/sleep deprived convention Sunday morning. I was a little rustier on the rules for this than I thought (I blame hangover/sleep deprivation in part) but antipixi demonstrated a serious competence when it comes to remembering stuff like this, so he shouldered the load a bit. Nice one Chris. Of course a lot of people contributed to all of these games, so I am not going to list people out in case I miss any. 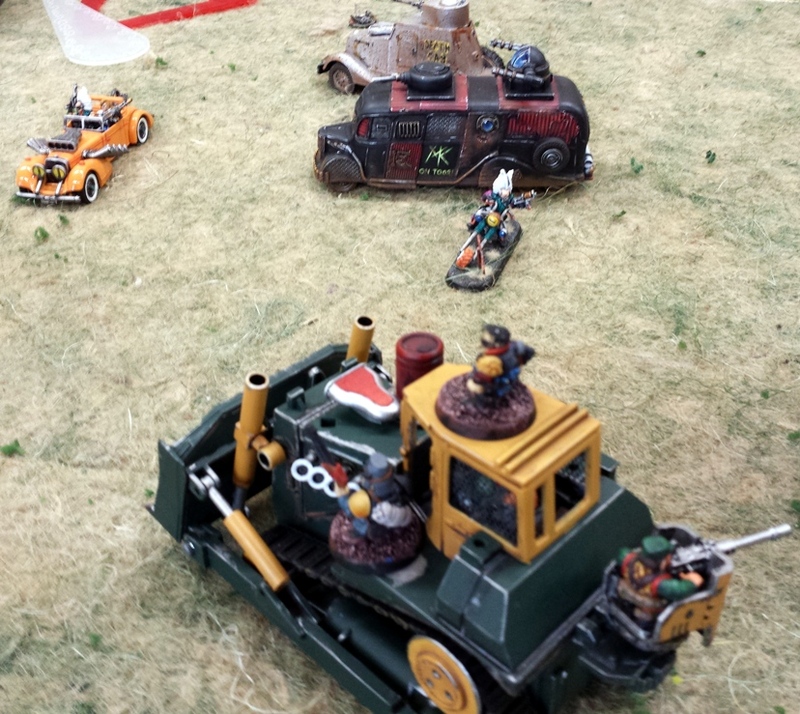 I am going to mention Captain Crooks from the Oldhammer forum though, who not only knocked up all of the card requirements for the GoMo game, but also shipped his squat killdozer from Australia to France so that JB Assless could use it in the event. Thats pretty impressive. 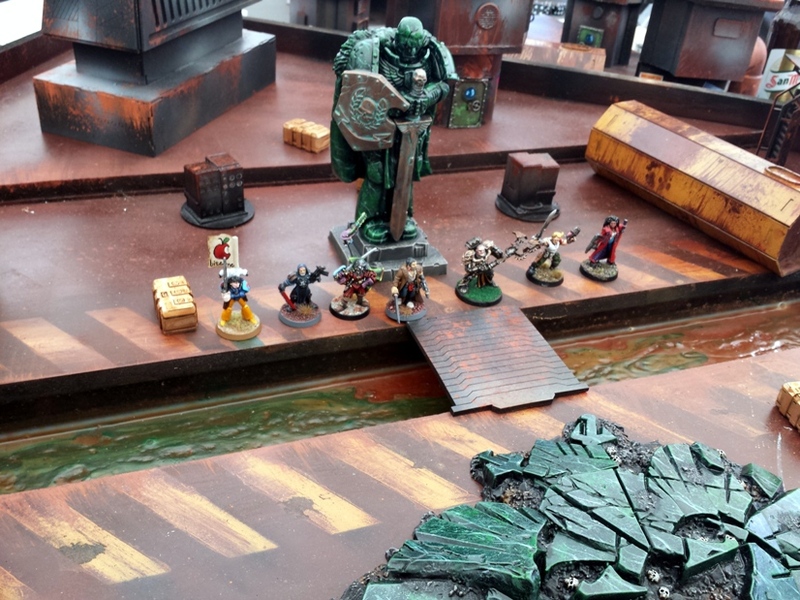 Again, these games have been covered in detail on the blogs of some of the other players (antipixi, Axiom, Asslessman, and Whiskey Priest at least at the time of writing) so I will refer you to them for full accounts, while I just put up a couple of photos here. … Curis gorgeous squats. 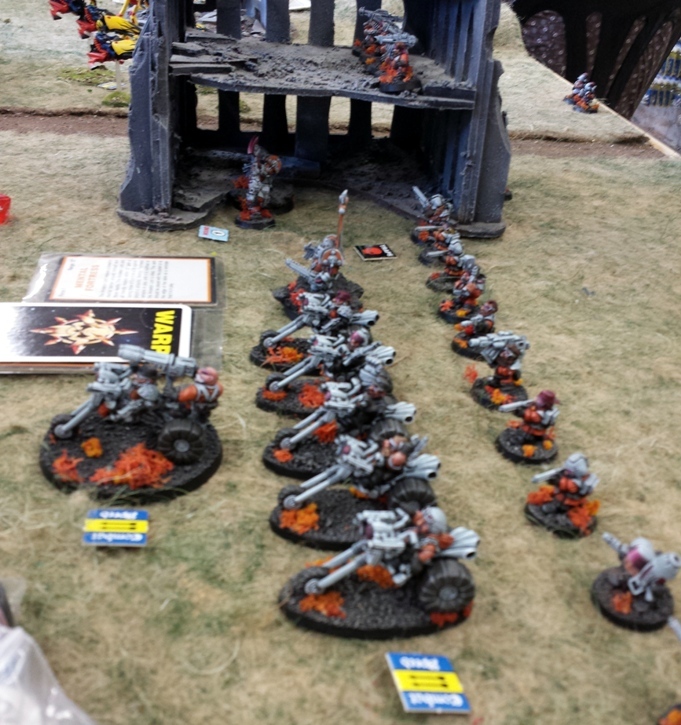 This photo is awful, so head to his blog to check out some really nice images of this exceptional army. 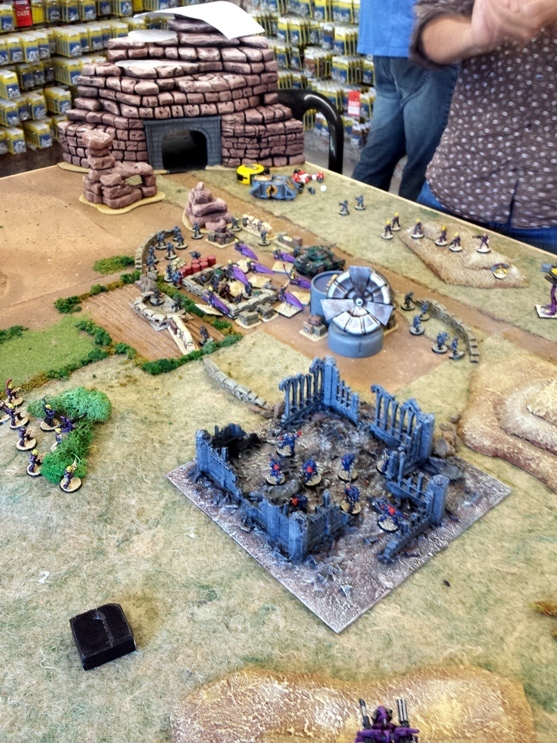 One of the tables that kept drawing me back for another look over the weekend was the Realms of Chaos warbands game. Beautiful evocative miniatures involved in narrative and NPC heavy games that have been on my to-do list for over quarter of a century. Sublime. Last, but not least, I also won two prizes for painting, which I didnt expect at all. 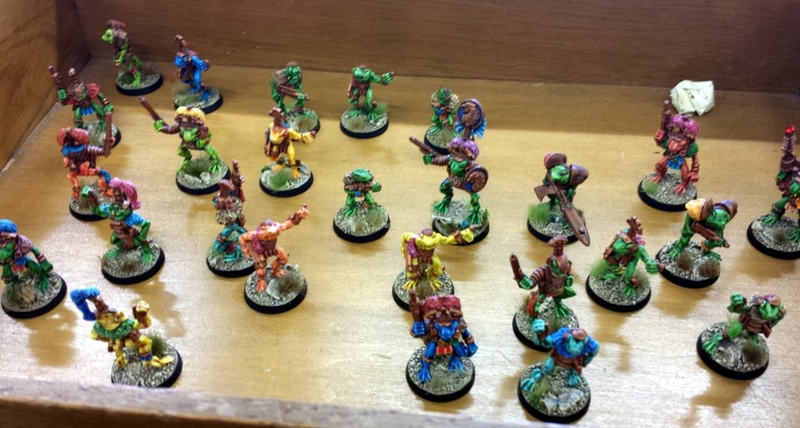 The prizes were quite desirable and cool things too: unreleased early nineties Citadel/Marauder miniatures. 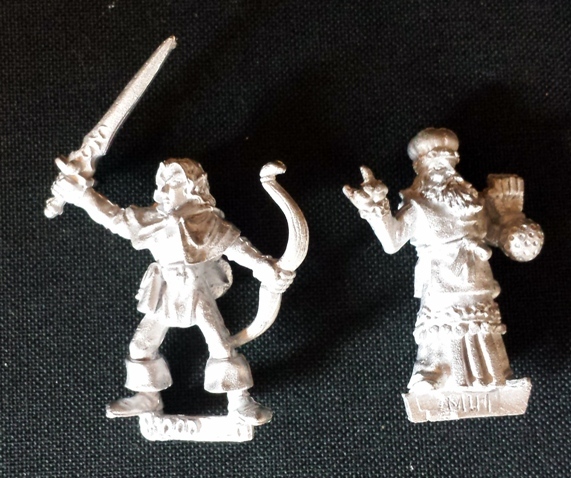 I was generously given an Empire Wizard and a Wood Elf, in addition to two of Foundries lovely big hardback books. Very generous. L to R: Unreleased Wood Elf, Unreleased Marauder Wizard. 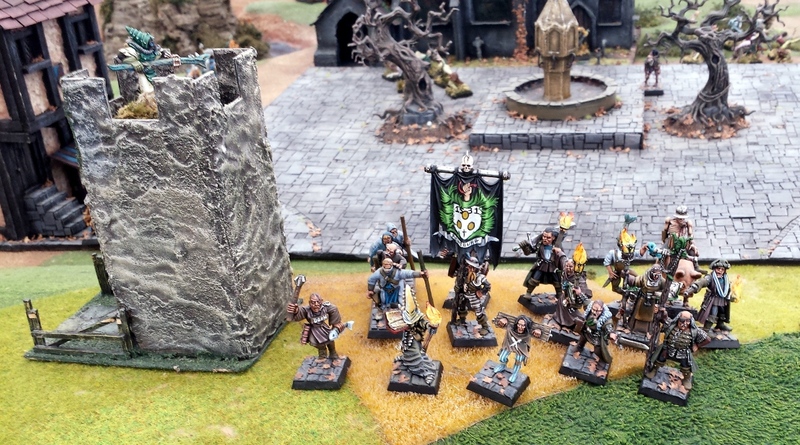 As I tend to keep my toy soldier interests focused on sci-fi rather than fantasy I reckon that I will shoehorn the Wizard into an Inquisitorial retinue or similar, which will then serve as a fun in game memento of the weekend. The Wood Elf has been donated to a local gamer (read as “shares the same land mass as”) who has in the past been very generous when trading or simply sending me miniatures. The Elf is slated to appear as part of that gentlemans Warhammer Quest project, which suits the model very well. I may even get to have a game with the model at some point in the future, which is a far better result than having it sit “speculating” somewhere for years. Congrats on the painting wins, well deserved. Those squats are delicious, but visual overload must have been something of a hazard all weekend. Curis squats are nicer than any of my models I think, but they were not entered in the competition. It was a fun weekend. Very memorable. Its too early to decide what games to get involved in next year and to what extent, but it will be fun making plans as well as actually taking part. The build up this year was fun too. I’m green with envy. Congratulations on such amazing days!